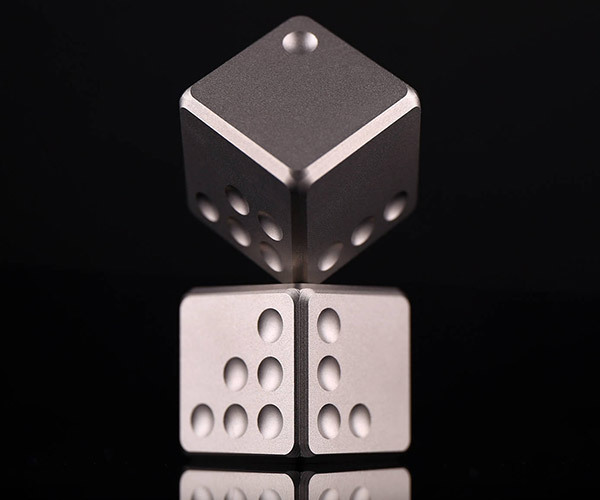 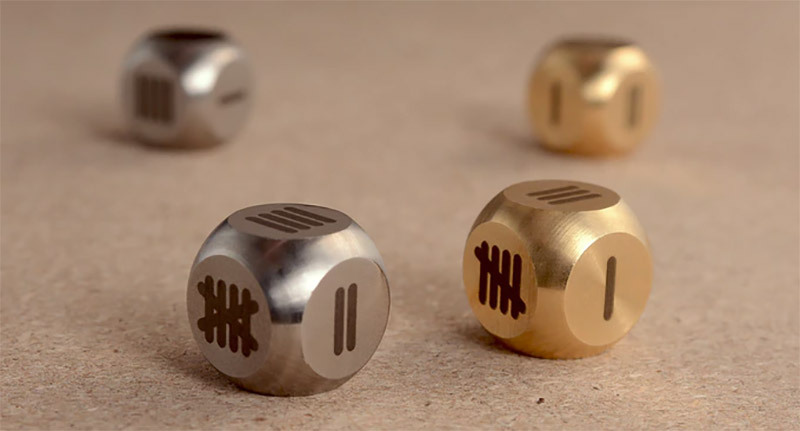 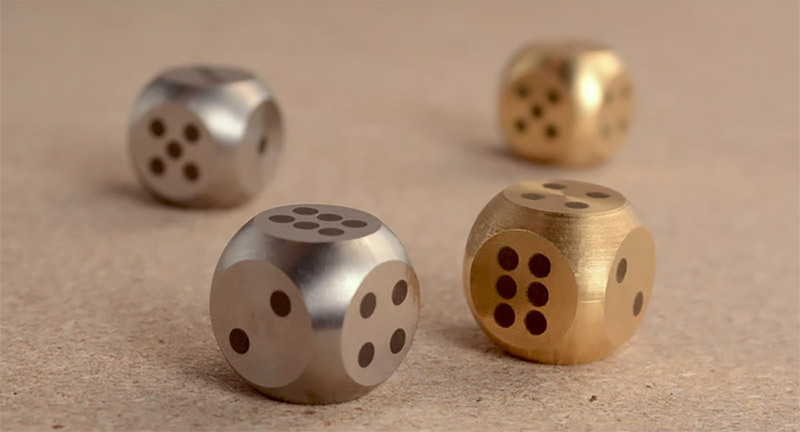 An elegant upgrade to any D6 dice game, these machined dice have curved corners, and can be laser-etched with classic pips, tally lines, symbols, or hash marks. 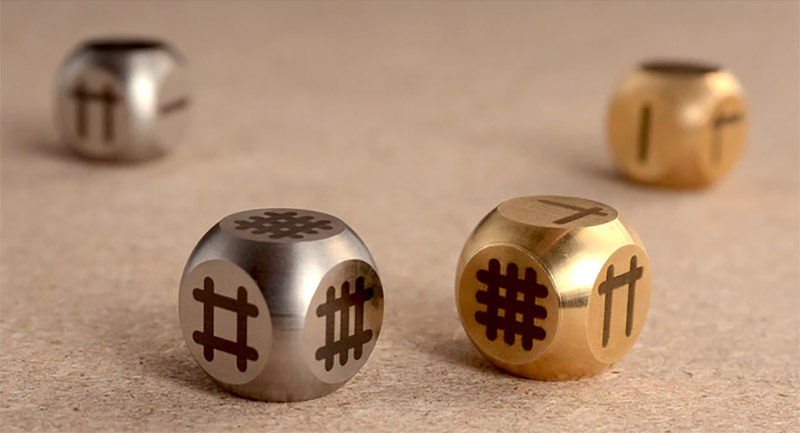 Combine multiple symbols or metals to expand gameplay options. 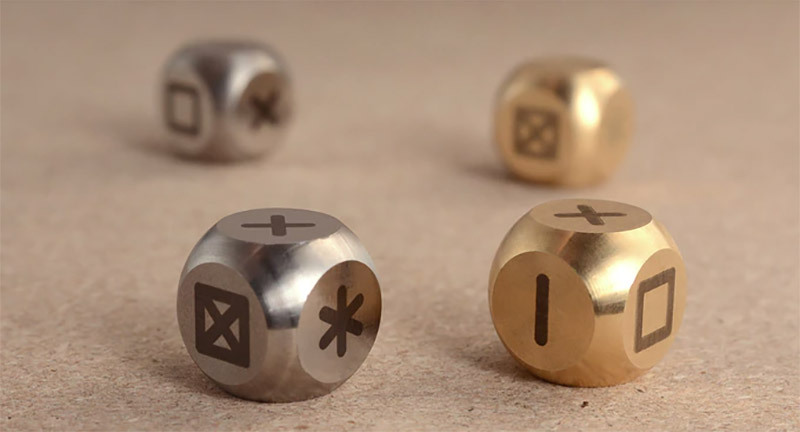 Available in stainless or brass.